Everything you need for everything you do. 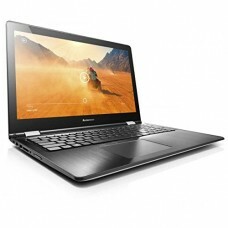 Live, learn and share with the surprisingly affordable Inspiron 15 3000 Series laptops featuring a fast Intel Celeron processor and long battery life. See More: It's easy to watch your favorite movies and shows on this roomy, 15-inch screen. Loud and Clear: You'll be amazed at the sound clarity provided by Grammy Award-winning Waves MaxxAudio technology. Whether you are chatting with a friend or watching a movie, the sound will astound. Strong Wireless Connections: Keep the conversation going thanks to built-in wireless that gives you a fast, strong connection with impressive range. Packed with Essentials: Don't be fooled. 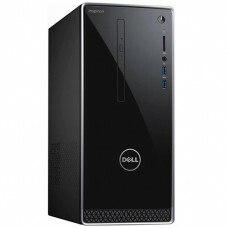 Built inside this thin design is a speedy Intel Celeron N3050 processor. The Inspiron 15 3000 Series has a slim 22-millimeter edge, so you can slip it in your laptop bag or travel bag without losing precious space. No Outlet, No Worries: You can't live your life next to an outlet and with a long battery life you won’t have to. Seeing is Believing: Show off that smile and connect with distant friends and family using the built-in webcam. Store the Things you Love: Save all your pictures, home movies, important documents and that funny cat video you've watched a million times on a large, 500GB hard drive. With 4GB of memory, you can open and run multiple applications without pause. Plug in to All your Devices: Connect to your other digital devices through fast USB ports or an HDMI port. For quick and easy file transfers, there is also an SD card reader. From locker rooms to locked cars, we test Inspiron laptops for survival in harsh short-term heat conditions of up to 65°C/149°F. 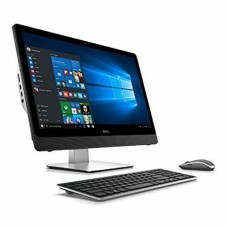 New Look without any compromising The expandable Inspiron Desktop has been reconsidered to upgrade t..
Overview: Experience Full HD with the Dell 23.8" Inspiron 24 5000 Series Multi-Touch All-in-One Desk..